There are many great reasons to Subscribe! 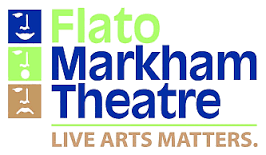 Flato Markham Theatre is located on the North West corner of Warden Ave and Highway #7, less than 30 minutes from downtown Toronto via the Don Valley Parkway/Highway 404. **Please check with the TTC or York Region Transit for the most accurate transit information available.